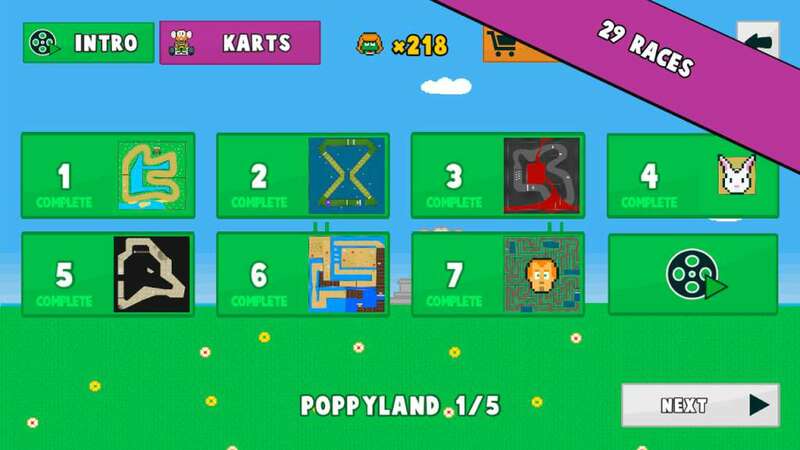 Poppy kart is a funny karting game in a pixelated world. 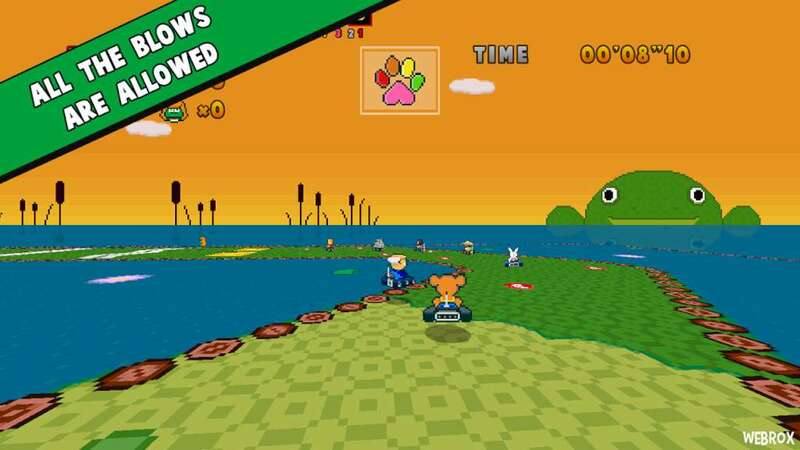 Mario Kart fans (SMK-Super Nintendo) will love the world of Poppy Kart. 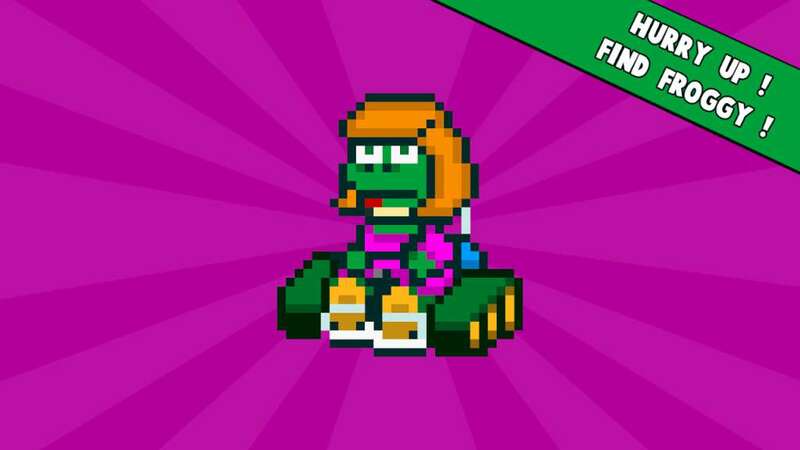 The story: Froggy, the Daddy Crapo's daughter ran away. You must collect totems to find her. 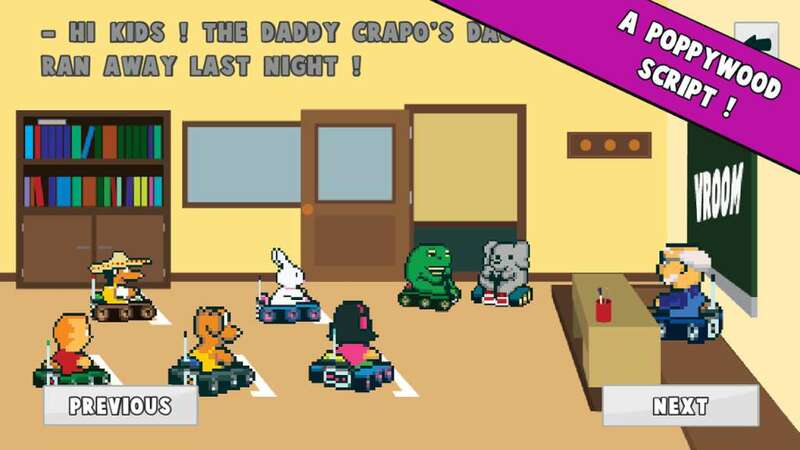 Travel, fight and drive as fast as you can on 29 handcrafted crazy races. 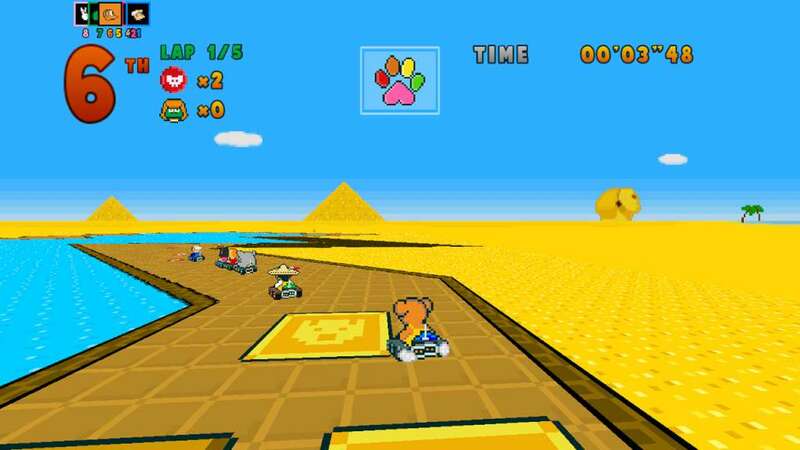 You can unlock 7 characters by completing the bonus races. Help yourself by using weapons and finding the shortcuts.